Review: Zenify	Discussion: Red Light! Put down the soda? It’s back! 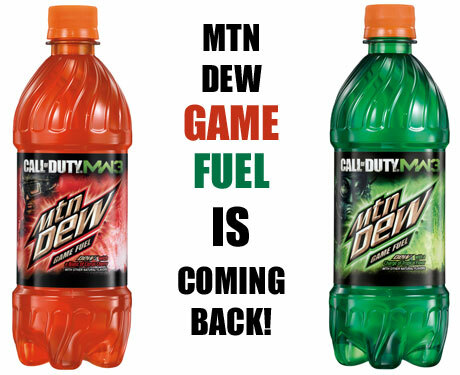 Mountain Dew has announced to coincide with the release of the, “Rank Up your Game with Double XP” promotion. The original citrus cherry flavor is back with a new friend a, new topical flavor created in collaboration with the MW3 team itself. During the promotional period specially marked packages of Mountain Dew and bags of Doritos will have codes for “Double XP” for a period of time in the multiplayer version of the game. When they officially launch the program, Mountain Dew, will be live at the Call of Duty XP 2011 set to take place in LA on September 2nd & 3rd. There attendees will get a chance to try the beverages before it hits store shelves, earn the first Double XP codes, and a chance to win an limited-edition gold collectable can of Game Fuel.